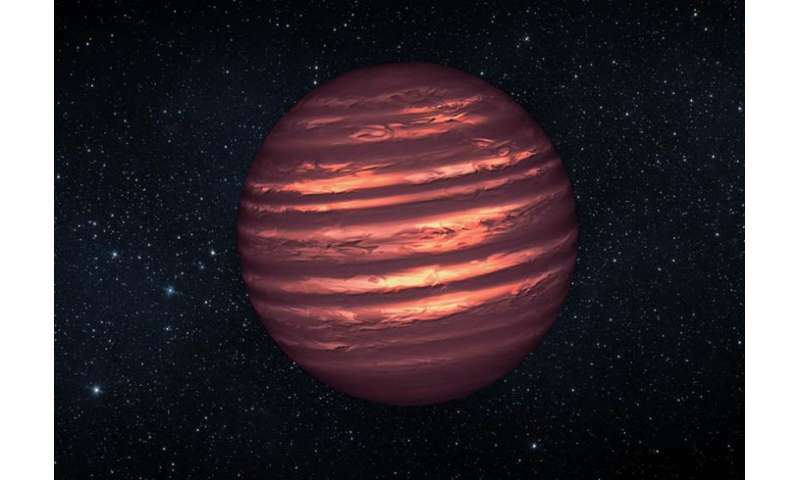 Brown dwarf stars are failed stars. Their masses are so small, less than about eighty Jupiter-masses, that they lack the ability to heat up their interiors to the roughly ten million kelvin temperatures required for normal hydrogen burning (hydrogen burning fuels the Sun, whose surface temperature is about 5700 kelvin). The surface temperatures and properties of brown dwarfs depend on their precise masses and ages, and range from a few thousand degrees down to a mere 200 kelvin (comparable to the Earth's surface temperature) with the warmest group being designated as L Dwarfs, the next warmest group as T Dwarfs, and the coolest objects as Y Dwarfs. Not surprisingly, because they are so cool, brown dwarfs are faint and hard to detect, and so although theorists predict that there could be as many brown dwarf stars as there are normal stars our understanding of their evolution and interior properties is quite incomplete. NASA's Wide-field Infrared Survey Explorer (WISE), which was sensitive to the emission from cool objects, discovered the Y class of brown dwarfs in 2011, and today there are twenty-four of them known. CfA astronomer Caroline Morley and her colleagues used the Spitzer Space Telescope and the Gemini observatory, as well as some other facilities, to refine the distances, luminosities, colors, and spectral characteristics of these objects and compared the results to current models. The scientists determined the masses and ages for twenty-two of them, and confirmed that, at least for the slightly warmer Y-dwarfs (whose temperatures are around 450 kelvin) the cloud-free surface models agree with observations. All of them have elemental abundances comparable to those found in the Sun, and all appear to have turbulent atmospheres. However for the coolest few objects, whose temperatures are more like 250 kelvin, the models do not agree. A larger sample of objects for study would help to constrain the parameters, but the authors note that it is unlikely more will be found until a more sensitive infrared mission is flown. I wonder if a moon orbiting one of the warmer brown dwarfs could be habitable for Terran type life and for how long.